Hello, hello! How is everyone's week going? So I go to Disneyland at silly-a.m on Monday and I've been planning and preparing like mad. If you're anything like me, you like to have everything ready to go. 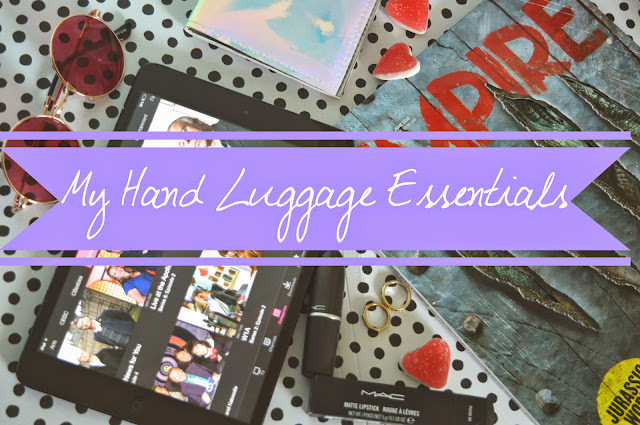 I think I have my wardrobe sorted but I thought I'd share my essentials for hand luggage! If you're anything like me, you need something to fill up the journey time. Whilst travelling doesn't bother me, I get bored. I'm not a big reader and they tend to take up a lot of space so I don't take books. Instead, I always make sure to top up the iPad with plenty of Parks and Rec, Simpsons or whatever show floats my boat. For a long trip, films by the dozen and maybe bring a magazine or two. It makes the journey go so much faster and, if you're not great at travelling, it helps take your mind off! I may be travelling but that's no excuse not to feel fresh and clean! When travelling, I always carry a lip balm because there's nothing worse then having dry lips and no way of soothing them. I also carry hand sanitiser (I can't stand feeling like my hands are dirty), a spare pair of tights, a lipstick of some shade, dry shampoo (just incase), some tissues or wet wipes and usually some hand cream or miniature body butter. if I remember, I'll also pack a smaller hand-sized perfume or spray. 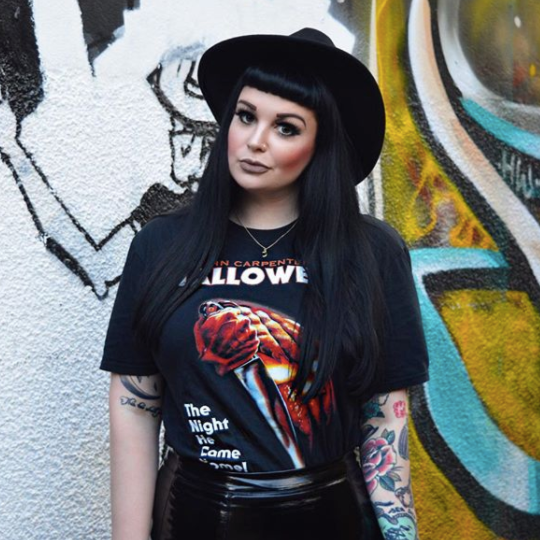 If you're feeling pretty tired, a pair of sunnies won't go a miss to hide those dark circles! Now it might seem obvious but don't forget the important stuff! I'm always so scared of losing my luggage and so I keep spares of my documents, booking confirmations and contact number in both my hand luggage and suitcase. I keep a folder of everything so I know where it all is; my planned out maps/routes and, of course, keep my money extra safe! Believe it or not, I quite like all the planning! So that's it for my top picks for my hand luggage. Whilst they may seem obvious, there's nothing worse then forgetting an obvious item. What are your travel rituals? Is there anything you can't be without while travelling? As always, I love hearing from you so please leave your comments below and happy travelling this Summer! Have a great weekend everyone! loved this travel friendly post. i love traveling, even if only by car. i would love to travel overseas again in the near future. the UK is a top on my list. will you be in California (DisneyLand) or Florida (Disney World)?! i could've sworn in a previous blog post you said you would be in Florida?! It great that you prep so well in advance for a trip. I like to do the same. I try to be really efficient with luggage. I agree it's really important to make sure to organize and protect all the essentials you will need. If I don't have to prep for something that's work-related, I like to have a book with me. I have a relative who works in publishing so sometimes I get something that's not yet published. I also keep ebooks/videos on a laptop, which makes it more efficient than having to pack a separate tablet for viewing/reading. It's good that you're going now because the pound is quite strong compared to the euro. But I bet you took that into consideration when planning this trip. :) Now, after the UK election, the pound is even stronger. Have you visited the US, Sophie? If not, what places would you like to visit? Thanks Gil. The euro is excellent at the moment! Ha I definitely did. I'm not sure about the pound though, I feel it is going much the other way and now Conservatives are in power still we are all doomed. I have been to the US! I've visited Utah, Chicago and San Francisco. But my absolute dream is to go to NY, LA and Florida in a big round trip! Have you ever been to the UK? Oh, I meant that the pound is surging today because the people in the City are celebrating that the Conservatives won. It wasn't a statement on the overall, long term direction of the UK. It's maybe a good time (today) to convert more money before the celebration tones down (sometime next week). Yes, I lived in London for about a year from 2009-2010. I had a mentor who was a consultant to some firms in the City relating to the financial crisis and I worked for him. I have good memories of touring the National Gallery, the Tate Modern, and the British Museum and soaking up UK culture. When I was a kid, I lived in Germany (after living in Japan); afterward, I lived in the Philippines and after that I lived in Scotland shortly before heading back to the US. Haha by the look of Facebook, very few people are celebrating! I certainly did not vote Conservative, I'm very surprised by it. I don't know anyone who voted for them so don't know how it happened really. Wow you've travelled all over the place! You're very lucky. I love Germany, I'd like to live there myself too. Well, people who run things in the Square Mile (The City of London) can be a very different lot from people in other parts of London. And I'm sure that there are plenty of people who work in the Square Mile who didn't vote Conservative. Majority of the country (in and out of London) voted for them surprisingly. They won by a landslide. Ha I've never heard it called that before! 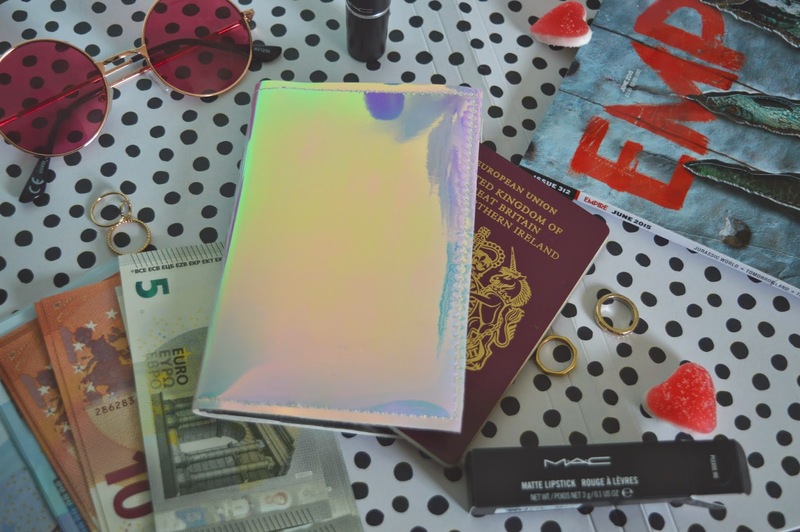 that holographic passport case is absolutely gorgeous. oh my god! i can't believe i just found your blog, your blog fits like my favourite pair of jeans: fits me well, i love them, and STUNNING. oh my god i'm hooked already.